Pssst: The men’s reading challenge is here!! Jason put together the 2018 Christian Reading Challenge for Men and it’s fantastic! A great idea is to do this challenge together with your husband or share with a man in your life looking for new books to read. When I released my first reading challenge last year, I was excited! I love reading and I was excited to share some great picks for the year. What I didn’t anticipate was how incredibly popular this reading challenge would be! So this year, Jason and I got it all together early so you can jump into the new year with this challenge (or pick this up anytime during the year if you find this later)! Plus we had our baby girl, Magnolia on January 20, 2017 so it was hard to keep up on things. THIS YEAR – not only do we have the 2018 reading challenges for both men and women, we also have a new podcast launching about reading AND something incredible exciting revolving around reading coming out in January 2018. So stay tuned…it’s going to be a FUN YEAR! We wanted to make this year’s reading challenge even more accessible. So we changed up some of the categories and all books in the challenge are brand new to this year – no repeats! However, we do have categories down below if you want to pick other books to read – or feel free to swap out and put your own books in the categories. The very best and easiest way to follow along is to grab my toolkit right here! The toolkit includes the full reading challenge for 2018 (for both men and women) as well as tips for finding more time to read (even when you are super busy) and how to find more books for free or cheap. Grabbing this toolkit will also “flag” you as a “reader” in my email system so you will get a lot of fun additional reading goodies this year 😀 HINT HINT: You will WANT to be on this list!! Throughout 2018 I’ll be sending out periodic newsletter all about reading, keeping up on the challenge, book recommendations, book deals and steals, AND news about a book club coming up sometime in 2018. SO EXCITED! Download below. Looking for an affordable planner? I’ve got an affordable, Christian homemaking planner to introduce you to today! 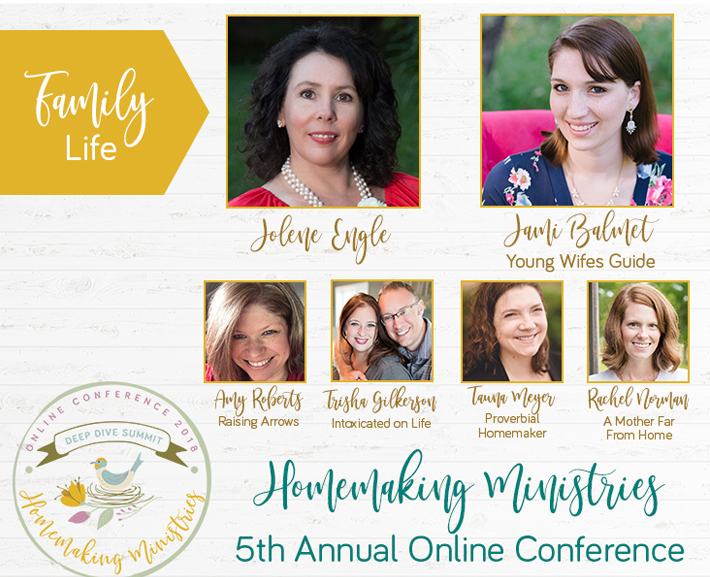 Welcome to our brand new sponsor to our podcast: The Homemaker’s Friend Daily Planner! I’ve used this planner for years and there are several things I love about this planner! If you are looking for an affordable planner that you can take with you on the go, you need to check out The Homemaker’s Friend Daily Planner! Jami! I am so excited about this reading challenge! Reading is one of my greatest joys and sources of encouragement. I have made it a priority in my busy, stay-at-home season with a three year old to read daily. I’m blessed because my daughter still naps 1.5 – 2 hours every day! 🙂 Anyway, I was just telling a friend ( literally hours before getting this challenge!) That I needed some new reading inspiration. I have finished a list I had going and so this challenge comes at the PERFECT time! Thank you so very much for this and for all you do! You are such a blessing! aaaw yay!! So glad it’s the perfect timing and so glad you will be joining us!! I am so excited for this!! Can you recommend some fiction you love? I miss enjoying a good fiction book, but most of what I’ve read recently is quite raunchy 😱 Not what I’d like to be reading. 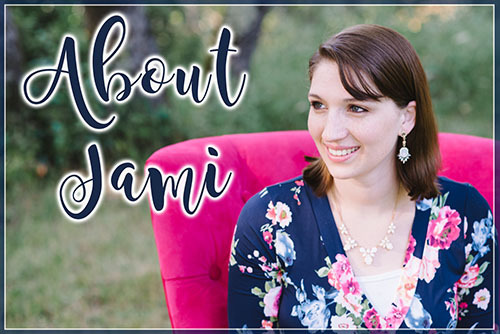 I’m so excited to see the new reading challenge post, Jami! I am doing something similar with a little different spin for myself. I’m hoping to read as close to 50 books in 2018, and am working on my list this week 🙂 You have so many great recommendations listed here and quite a few of them are on my list as well. Thank you for sharing this challenge and for inspiring a love of reading through your blog! Happy Christmas to you, and New Year’s blessings to you and your family! Yay, that’s awesome!! 😀 I can’t wait to hear what everyone is reading! I will be doing the 13 books but trying to stretch myself to read more than that. Also, Anxious for Nothing was written by Max Lucado, not John MacArthur!! Oh wow, my bad!! I thought two books could not have the same title, learn something new everyday!! This is so wonderful, Jami! You have made easy two very important goals for 2018- a closer relationship with God and my love for reading. Currently I work 2 part-time jobs while running a pet business. I am not married, nor a mother, but “home make” for one. The tracks seem totally doable even though there doesnt feel like enough time in the day. Thank you for caring about your readers and getting us closer to a wonderful goal! I really enjoyed going through the reading challenge this year. I look forward to digging into this one too. Thanks for putting these together. I tried the Reading Challenge, but couldn’t keep up. I was able to read more while recovering from open heart surgery, and plan to take time to rest/ digging in! Thanks so much for putting this list together. I have several books on your recommended lists for each category so I’m tempted to put my own list together with books I have that I have not finished. Regardless, I do very much appreciate you sharing this list because it helps me have a place to start. I love the streamlined categories you chose, because like you I don’t have time for some of the more random ideas some lists have, nor do I need any more encouragement to read fiction! My husband has agreed to take this challenge with me! Woohoo and great idea from the two of you!! Only trouble is that I haven’t received the tool kit download yet and I’ve tried several times to register for the challenge. Can you help at all? I’ve checked all my email folders. Thanks! Super excited to be a part of the 2018 reading challenge. As a former manager of a LifeWay Christian Store, I used to have access to tons of books however I was led to stay at home after having my sweet boy so needless to say I don’t read as much or have the same access. I’m excited to get back to reading good books and enjoying quiet time. New year, new goals! Woohoo! So glad you are joining us! I just went through my library’s catalog, and they have 2 of the books listed on site, and one ebook. 🙁 But I do look forward to starting with those and then seeing how I can budget for more. Guess I need to start a reading group in my church and we can each buy one book and swap each month! I’ve started the Reading Challenge and was just wondering whether there’s going to be somewhere we can discuss the books we’re reading? I’m two books into this reading challenge (10 books into my year); I was wondering if you still had the list from last years reading challenge as well? I love your challenge & book recommendations!! I thought I remembered hearing you mention that you were going to start a reading podcast which sounds awesome, but haven’t heard you mention it for a while. Is this still in the works? Can’t wait to read a lot of these books! I love reading! Hey, Jami, I know this is about fiction but….I thought I remember you saying you enjoy fantasy/sci-fi YA books..? Which are some of your favorite series? I’m almost done with the Lunar Chronicles. Will you have a 2019 Reading Challenge?